:: THE FRESHEST ::: SEKO IN SASK! 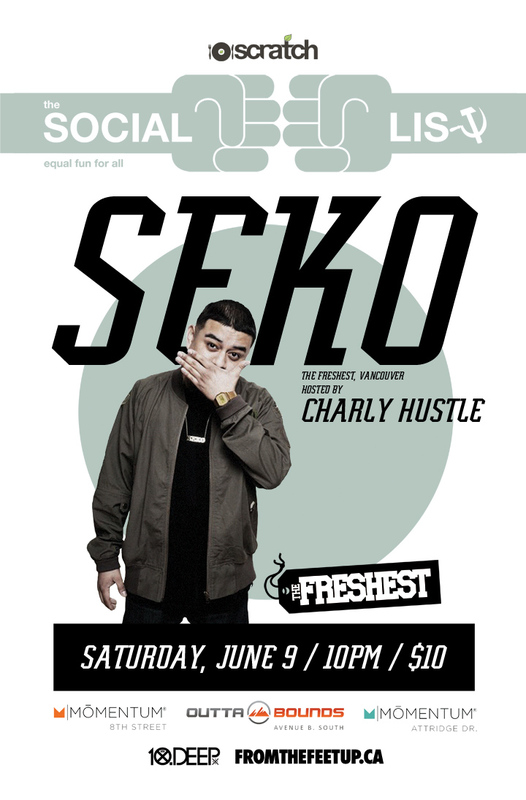 Saturday June 9th DJ Seko will be welcomed back to Scratch Club for The Social List. Seko will be rocking along side resident Charly Hustle. Expect nothing but the best.